A family of four or more can book together for a discounted rate of $65 per person. A great experience to share, our coaches are versatile and can cater to every member of the family. Book with a group or exclusively for a special holiday memory! If your family is more than four, on the next page will be an 'extra' option to add more Family Members. Best to call in-store when you're purchasing to have a chat to our team about the best day based on the surf conditions. Operated daily (depending on demand) at Sandy Bay, this is a great lesson all ages can enjoy. Contact the store (09) 4344 135, to discuss group and seasonal special deals. 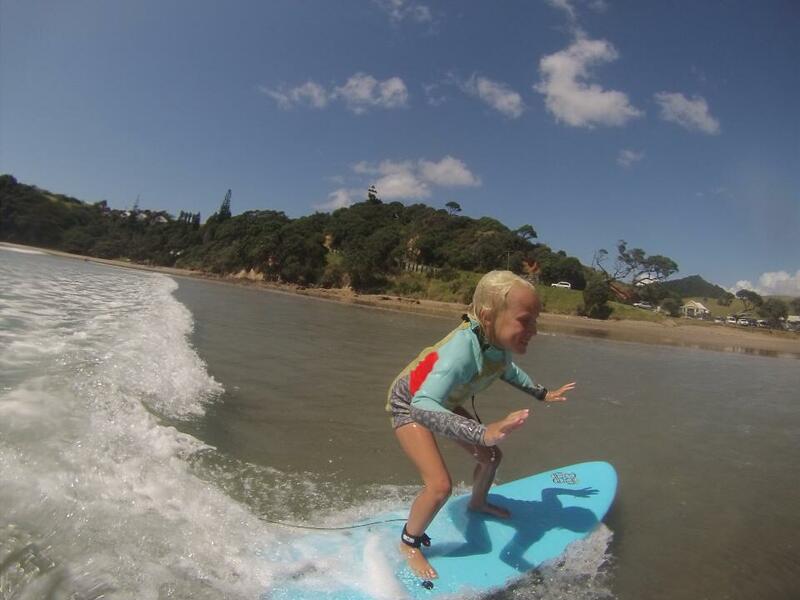 Tutukaka Surf is also available to operate exclusive group lessons for stags, hens, birthdays or other special events.